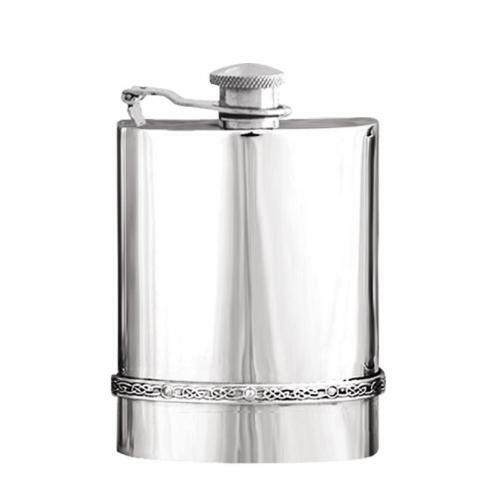 If you are looking for a beautiful commemorative gift to mark a landmark birthday, graduation or special occasion, then you need look no further than this stylish Celtic style pewter hip flask. Manufactured using only the highest quality lead free pewter, the flask will not tarnish over time and is also perfectly placed to have your own choice of engraving added to make the gift truly unique. This particular flask is beautifully decorated by an intricate Celtic band design which stretches across the bottom of the flask, and gives it something a little bit extra to help it stand out from the crowd.